While a humidor is the most important aspect of storing and smoking cigars, there are are a few other accessories that need to be added. Smoking a cigar can be as simple as going to the local smoke shop, getting a cigar and a lighter, and lighting up your fresh stick. When you get a bit more involved in smoking cigars, properly aging, cutting cigars, & lighting cigars is essential to getting the best smoke. If you have all the accessories for a cigar humidor, maybe a travel humidor may be a better idea for you. So if you’re looking to expand your cigar humidor, or you’re looking to get a gift for a cigar connoisseur—You’re at the right place to find your next addition. Here is a solid list of what you should get next. Finding new ways to light your smoke is always an experience. Each stick you cut and light up is a completely different smoke and taste. So a quality method of lighting is an excellent addition to your’ cigar humidor. 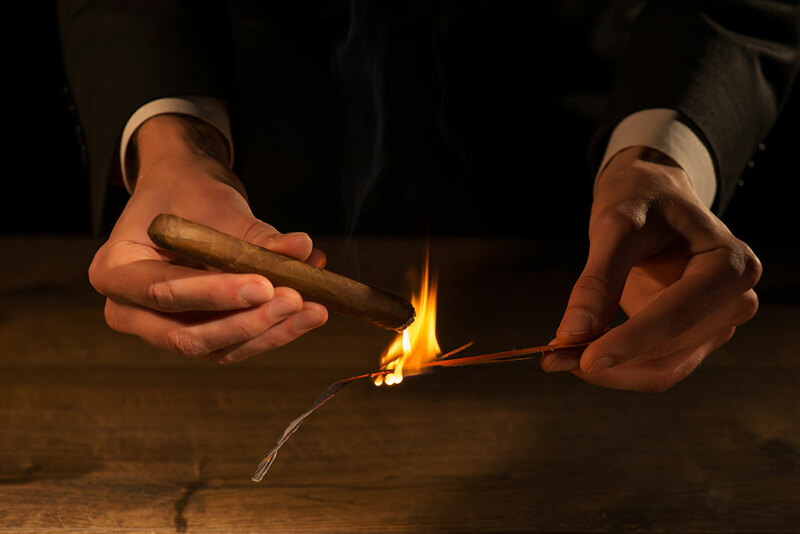 There are many methods from a typical home lighter, stick matches, or lighting raw pieces of wood on fire. However you would like to start, take a look at the selection of cigar lighters we have below. A cigar isn’t exactly possible with out some sort of cutter. Different cuts give different taste and different smoke. 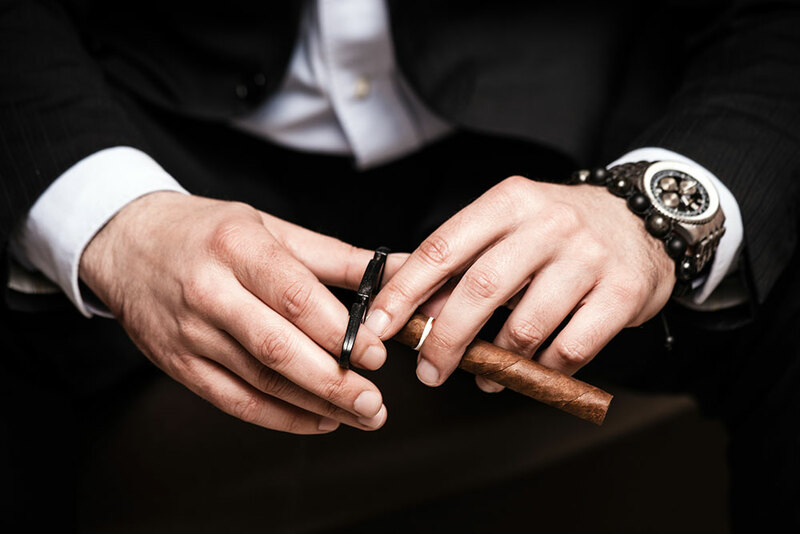 If you’re unsure of what type of cutter you need or you would like to try a different type of cut, you should take a look at our selection and explanation of cigar cutters, click the link below. It’s always a funny moment when you decide to smoke your first stick at home, and you’re incredibly excited to light up pour some whiskey and sit in the back yard. Five minutes into smoking, you look around for your ashtray, and realize you’re going to have to ash into a nearby planter or rub it into the grass. Prevent that awkward moment, get yourself or the cigar smoker in your life a cigar ashtray. Click the link below, to view our selection of the best cigar ashtrays. Most humidors come with a flat humidor try that in meant to be soaked into water and then dropped into your humidor. While i’m not saying this does not work, I believe that gel beads work much better and are much cleaner. Using the beads, prevent water spillage and water buildup. If you’re looking to add this to your humidor, I highly recommend it. If you’re looking to purchase a gift for a cigar buff, you can’t go wrong with these because they will always be needed. Let us find you the best current deal, click the link above. I’ll say this over and over, and I can only hope you listen. DO NOT USE TAP WATER IN YOUR HUMIDOR, if you’re unsure why i’m talking about water in your humidor, you should head over to our Humidor Care Course to learn more. If you’re already familiar with using a solution in a humidor, I highly recommend using Xikar solution to line the inside of your humidor to get it going. If you’re buying a gift for someone, this is another item that a humidor owner can’t get enough of. Let us find you the best deal, click the link below. If you already have all the accessories above, maybe it’s time to get yourself another humidor. Maybe you need a humidor for the office, the garage, or wherever else you spend more time at. If you’re looking for a humidor as a gift, or for yourself, you should take a look at the humidors we’ve hand selected and reviewed. Click the link below to learn more. We all have our weekend activities, for some of us nightly activities. Putting your stash inside of your cigar humidor isn’t a bad idea and I do think it will help increase the lifespan of your stash. However, what we don’t want are your cigars starting to smell like your stash. So if this is something you do partake in, I highly recommend an airtight jar. 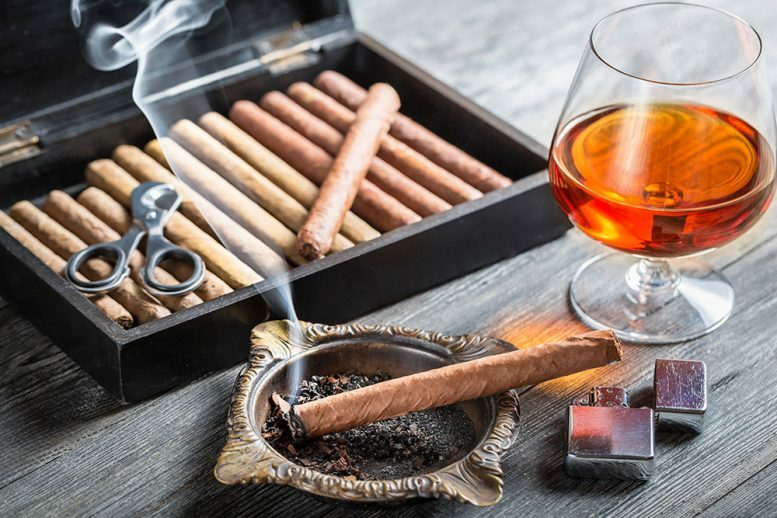 If you have recommendations on other cigar smoking accessories, leave a comment below I would love to hear about them and potentially update this list.